Ganesh and Om, gypsy-style earrings are big but not heavy. They have ganesh on one side and om symbol on the other. 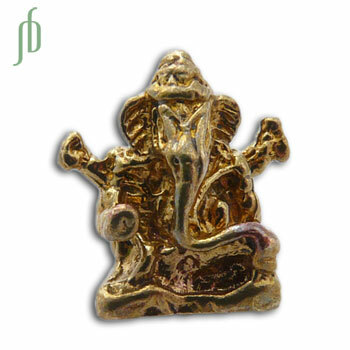 Ganesh is the bestower of knowledge and remover of obstacles. Om means universal truth. Earrings are made of recycled brass and the earring hooks are gold vermeil. Sturdy, beautiful, eco and fair trade!